San Pedro de Montes de Oca, or simply San Pedro as it most commonly known, was once a quiet, unassuming town just east of San Jose. Thanks to the development and success of the University of Costa Rica and other institutions of higher learning, it has become one of the most popular places to live in the Central Valley. The combination of the college town atmosphere and close proximity to San Jose make it an attractive location for both locals and expatriates. For those who want to be close to everything and retire in Costa Rica, San Pedro can be the perfect choice. Unlike San Jose, most of the neighborhoods are quiet and well-maintained. There is a fascinating combination of European, North American and historical colonial style homes. Luxury homes are available, as well as condominiums with all the amenities. There are less lots and land to purchase than in nearby cities like Tres Rios, Curridabat and Cartago. 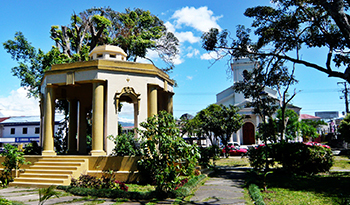 Because of the variety of real estate, investing in Costa Rica is easy to do in San Pedro. San Pedro has plenty of apartments available for short or long term rent as well as a number of hotels and hostels. For vacation rentals, villas, guesthouses, and pent house suites are the most common. Real estate in this area tends to hold a higher than other towns due to San Pedro’s central location.